You can't buy happiness, but flowers. And that's pretty much the same! Flowers are my focus and bringing weddings to life loaded with beautiful blooms is my passion. Working with me is like working with a friend that is as excited about your wedding flowers as you are. We will laugh, we will design and we will create a wedding loaded with flowers that is truly unique to you, your family and all your wedding guests. Weddings are always something special for us and each time something new exciting, because each is unique to itself over and over again! 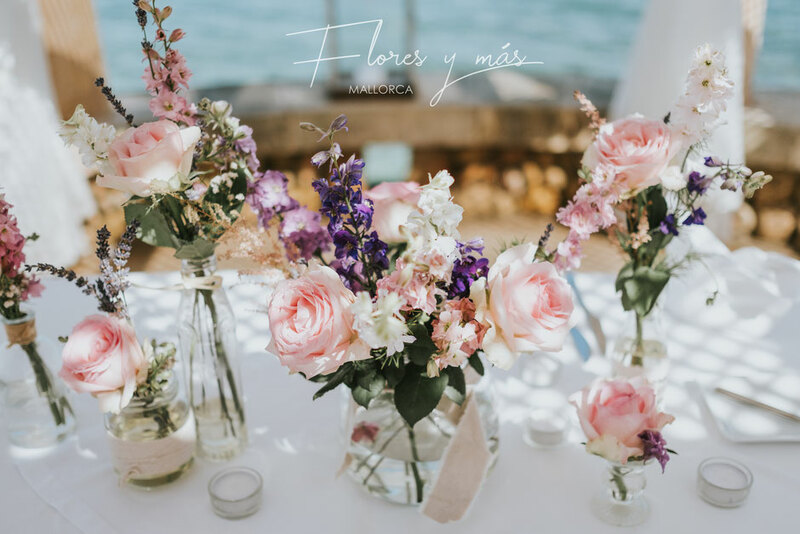 At Flores y más Mallorca we know that the wedding is probably the most important day in the life of every bride and groom. That's why we dedicate to our work this unique dedication. In a harmonious cooperation with the customer and our highly professional accuracy and attention to detail, your wedding will become your unforgettable day. 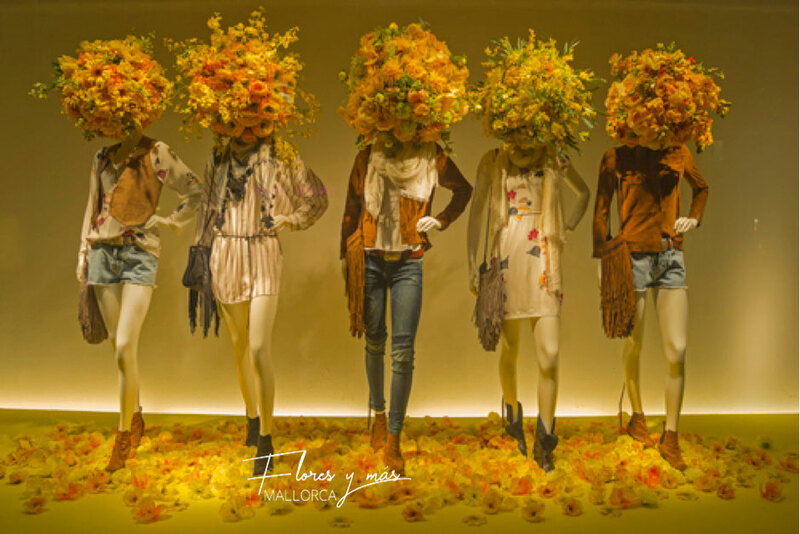 Starting with floral arrangements over many small details up to lighting and seating or chill-out furniture. We take care of everything so that you can enjoy your wedding completely stress- and carefree. Of course, we deliver to any location of your choice in Mallorca and ensure a perfect setting of the atmosphere on site. What are you thinking of on planning your next party? Thinking on stress and worries where to find and get everything you need? Wouldn't it be much nicer for you to spend your precious time with your family and friends instead? And that's exactly what you get from us! We at Flores y más Mallorca, we not only provide you with beautiful floral arrangements, decoration or furniture that you need, we also arrange everything for you on the spot. We also give you time. Time to even enjoy your event! These precious moments for you and your guests that will make you a special host. But there doesn't always have to be a specific occasion such as birthdays, baptisms or communions. We are also happy to come to your house or your yacht and give your home a very personal touch. As individual as you are! 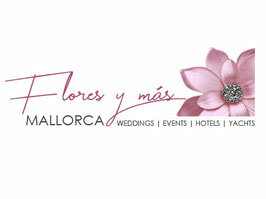 You will find our work in many hotels, restaurants and shops in Mallorca. Major events or productions for film and television are great challenges which we are always happy to face! Corporate events we lend the right setting. It is a very special skill to keep always an eye on the focus of the respective company. From classic, timeless elegance to modern times spirit in the style that suits your company. 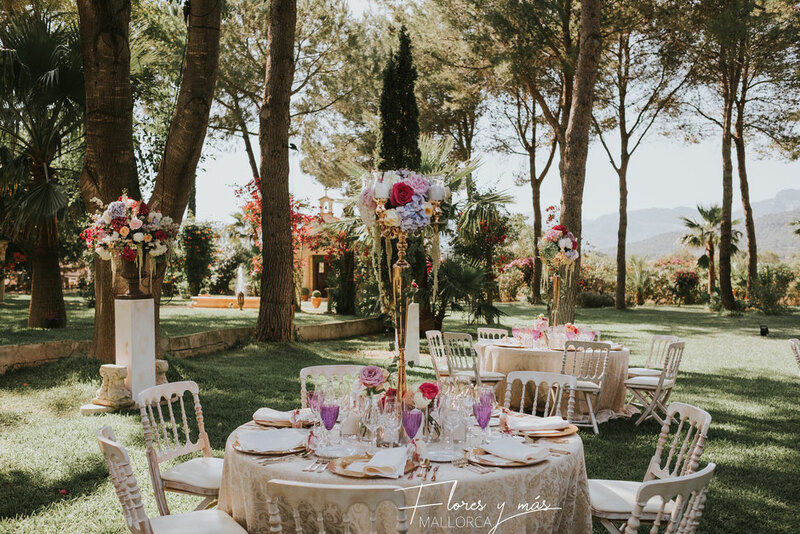 Convey your clients emotions through the perfectly staged atmosphere of Flores y más Mallorca.